Not bad, but not nearly enough to acquit her from those pending desecration charges. A radio jingle looking for a product. Man! I Feel Like a Redneck Woman! I like it!! I personally like the Sara song better than you (I’d give it a B) but i love what you did for the Kellie song!!! Because thats basically what it is! haha Also, i think your a bit bias towards Lauren because your such a big Pam fan (which she has earned every fan she has and deserves more), but with that said, I think you gave the right rating for the song. It’s not a classic but its a heck of alot better than Scotty’s song! 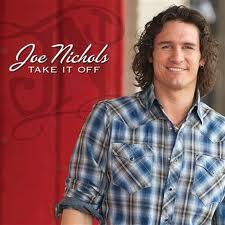 I love all the songs except the Joe Nichols one. Kellies is my favorite, she isn’t over singing it and the instrumentation is very country. This is great. I especially like the Pickler comparison. I do like the Evans single more than you. I like listening to the Kellie Pickler song alot, even though it’s saying absolutely nothing of consequence. Re. “My Heart Can’t Tell You No”–I heard it on the radio a couple of days ago, and it sounded vaguely familiar. Then I realized that this was a cover of a song originally done Rod Stewart back in 1988 (with help from Ronald Isley of the Isley Brothers). I like Sara’s version of it well enough, though I can’t really consider myself a fan of hers. I really like your take on the Joe Nichols tune. Funny and true. Same with Rodney Atkins. Seems to me that the new Joe single is the current male version of “Look It Up” by Ashton Shepherd. Really want Joe’s career to take off but his single choices just leave me scratching my head most of the time. 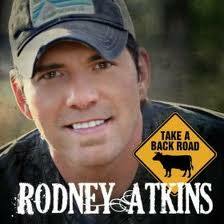 Don’t understand how the Pickler song got a lower rating than Rodney Atkins. She should get higher just based on production along. I just love the grit sound of it, even though the lyrics aren’t as original as some of her past songs. I love the Kellie Pickler and Sara Evans singles. The Kellie Pickler song is bombing on the charts. I’ve finally figure out this site. Granted I’ve only been reading it for about a month. You folks just hate anything that is commerical. You love traditional, which I do too to a lesser degree, but you can’t stand it that modern country is flourishing and making all the money to keep the Genre afloat. Not at all. We like some modern commercial country, but the problem we tend to notice is an overall lack of artistic credibility and emotional reasonance in most of the current mainstream fare. It’s not that I “can’t stand” that modern country is flourishing, but I do wish I enjoyed it more than a typically do. Ben, thanks for being honest. I at least now know that when I read a review on here for most things that are on the radio or for Artists that are having success such as Lady A, etc that you are not going to be open minded. There are some great songwriters in Nashville and just because their songs don’t fit your taste doesn’t mean it’s a bad song. It’s not unbiased. you let your personal tastes in music dictate how you review every song. A music critic should be able to put that aside and give their readers a look at the song without personal tastes. 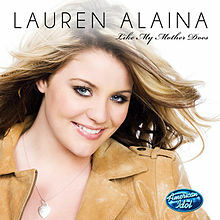 I didn’t really like the song “House that Built Me” but I guarantee you if someone ask me to write a review of it, I would have given it a 9 or 10. It was a great song. That’s just an example. On one hand, I tend to think that personal tastes are closely related to how one forms opinions with regard to what constitutes good or bad music, such that I don’t quite see how one could remove taste as a factor entirely, especially considering that reviewing is generally subjective in nature to begin with. At the same time I’m also curious as to what exactly makes you say that the reviews on this site are based entirely on personal taste. Any examples? At any rate, your claim that CU is only accepting of traditional country music doesn’t hold up at all, which can be easily seen by perusing the review archives. To me that just seems more like a canned retort than anything else.